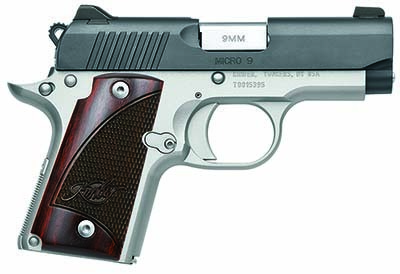 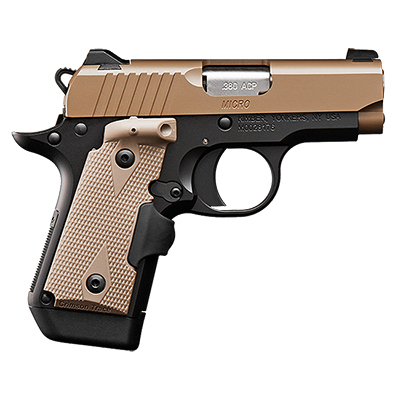 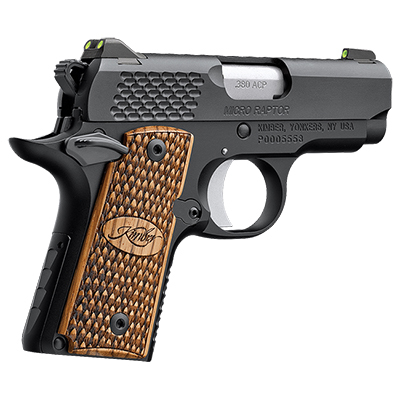 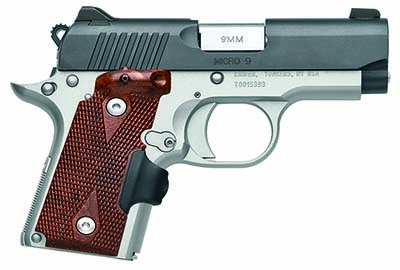 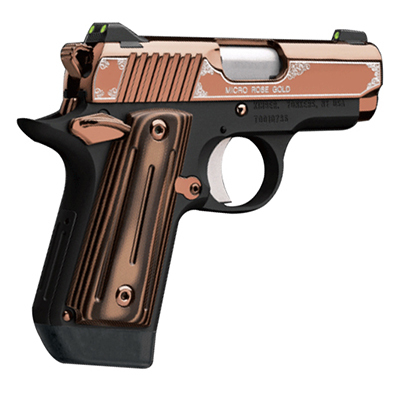 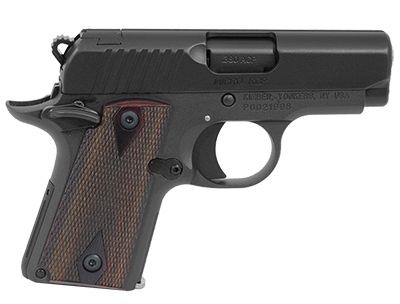 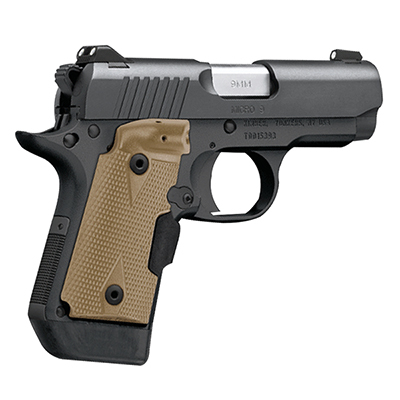 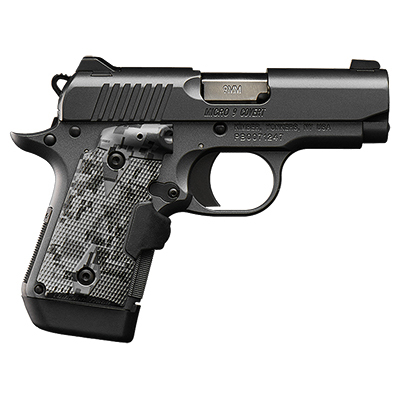 Weighing in at less than 14 ounces is the Kimber Micro. 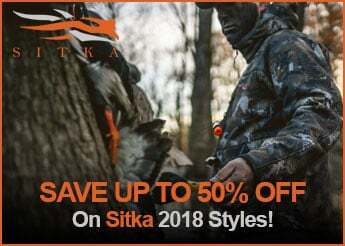 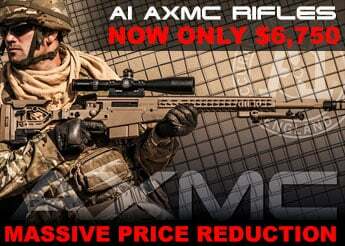 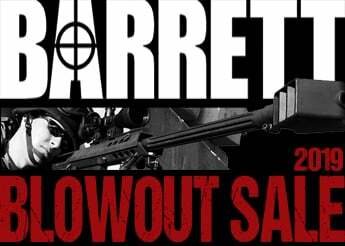 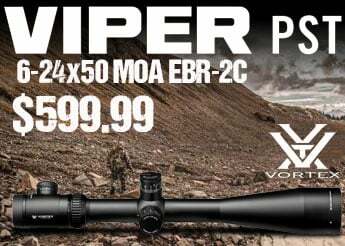 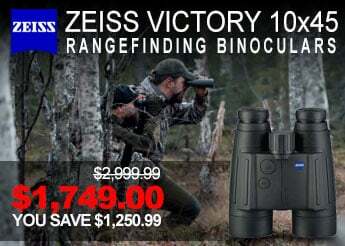 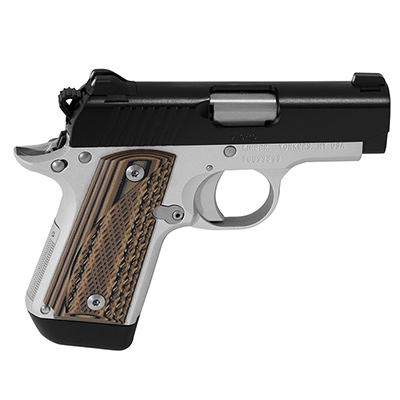 The Micro features a strong aluminum frame, single-action trigger, thumb safety, lowered and flared ejection port, beveled magazine, steel sights mounted in machined dovetails, and both a flush-fighting 6 round magazine as well as an extended 7 round magazine. 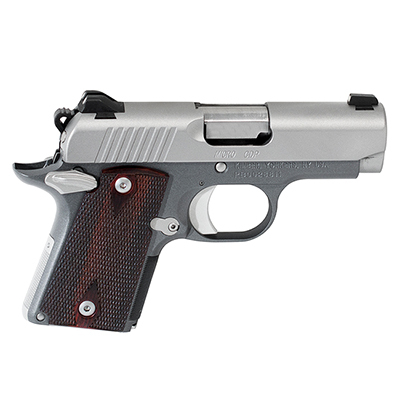 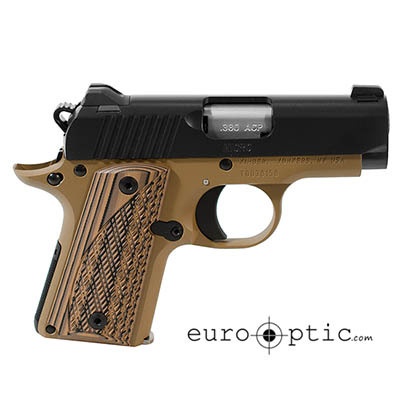 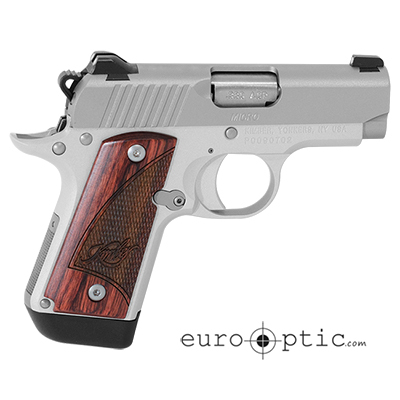 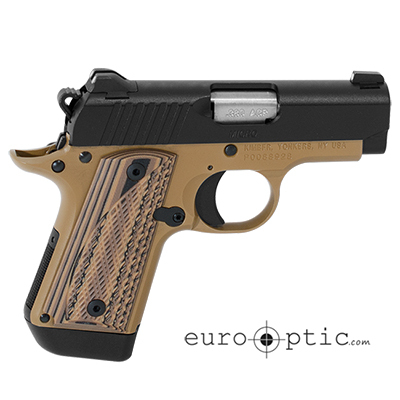 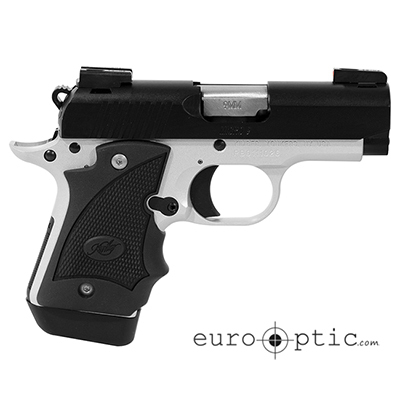 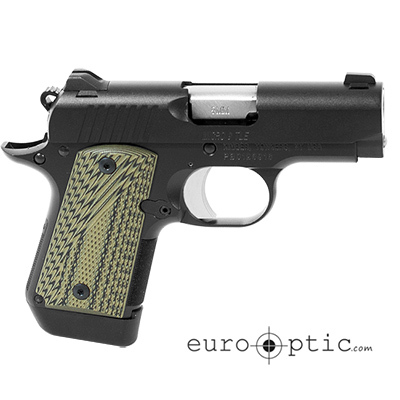 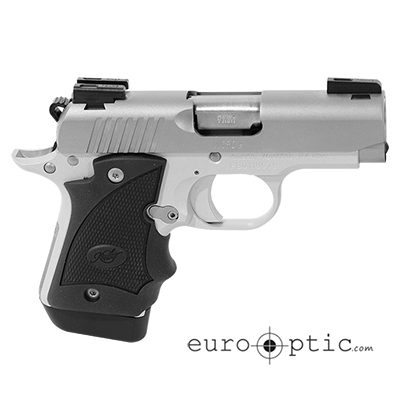 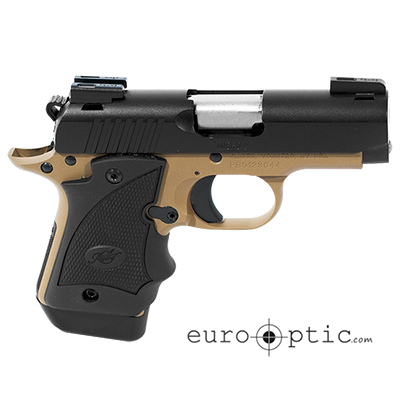 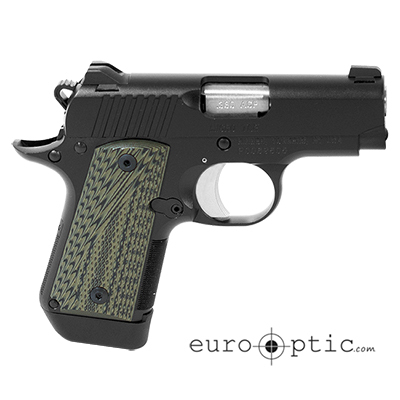 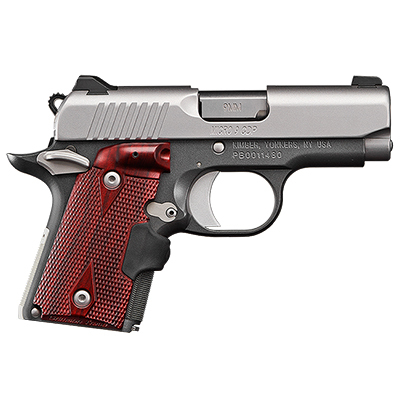 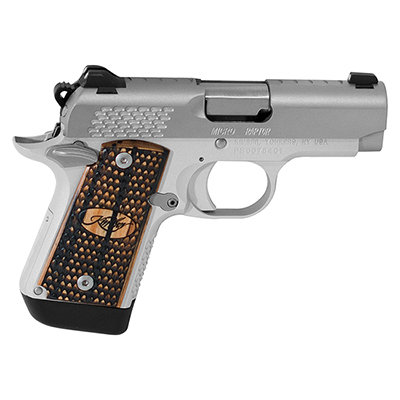 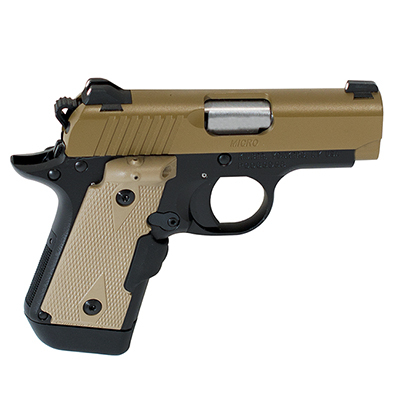 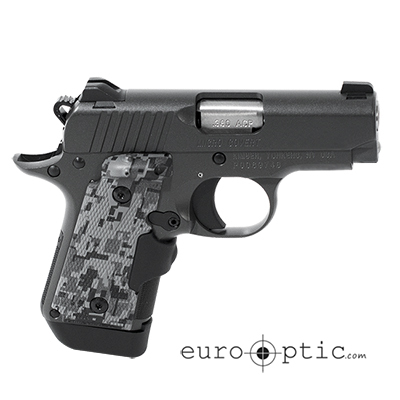 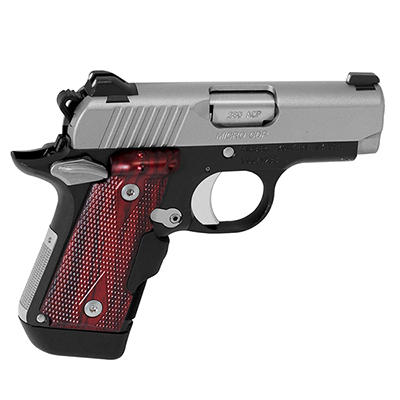 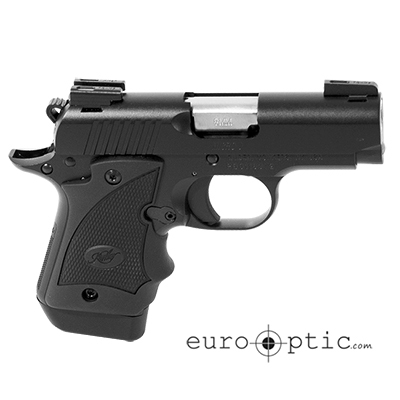 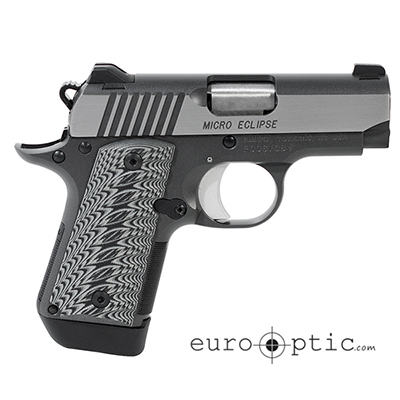 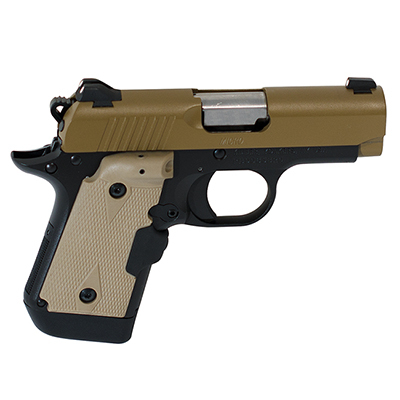 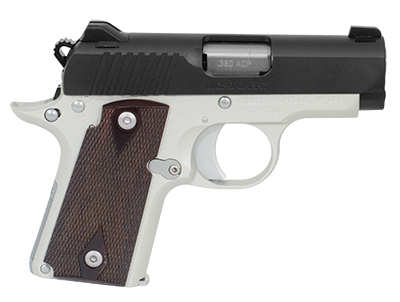 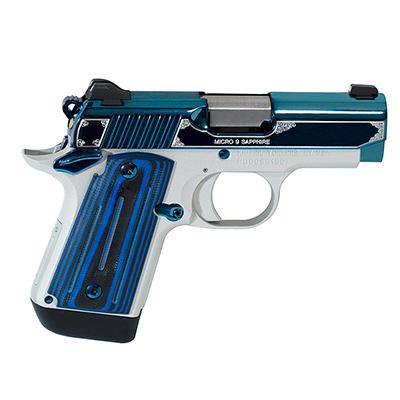 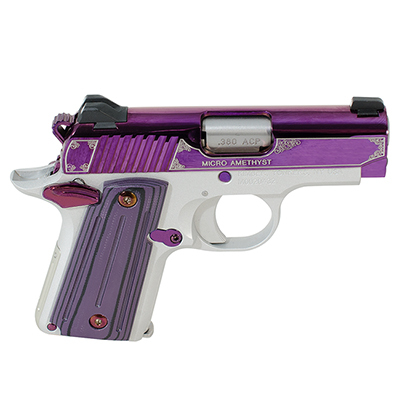 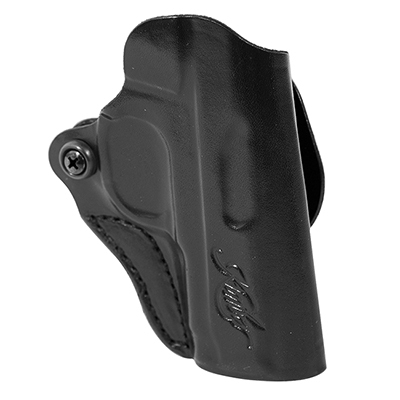 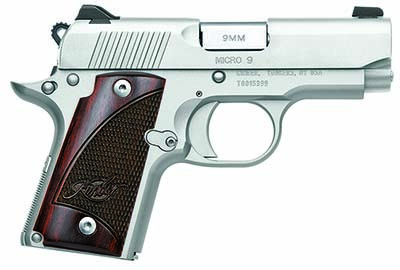 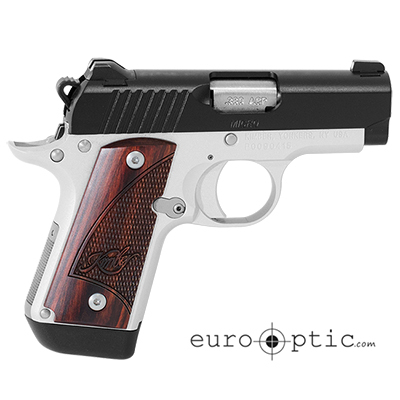 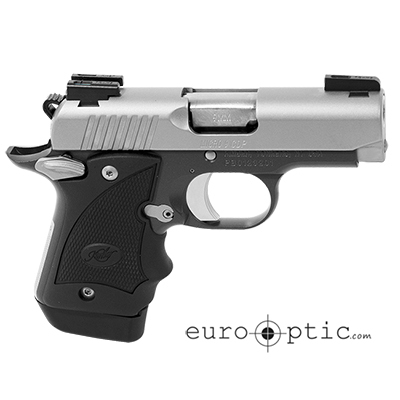 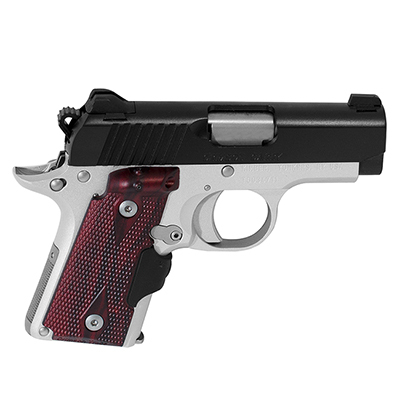 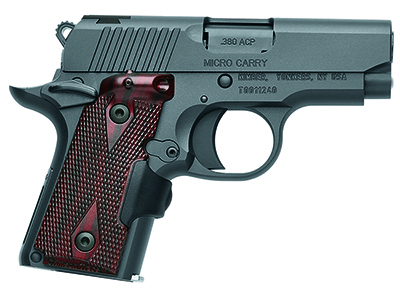 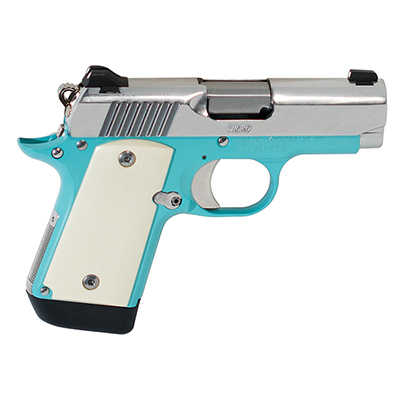 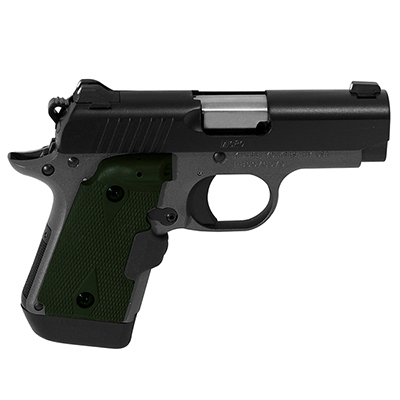 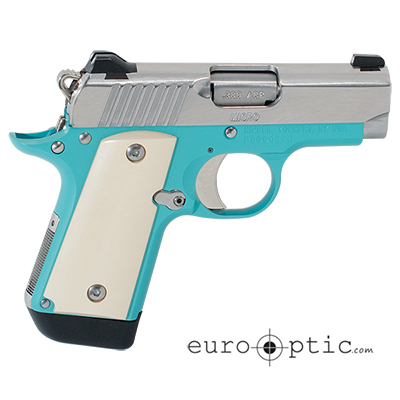 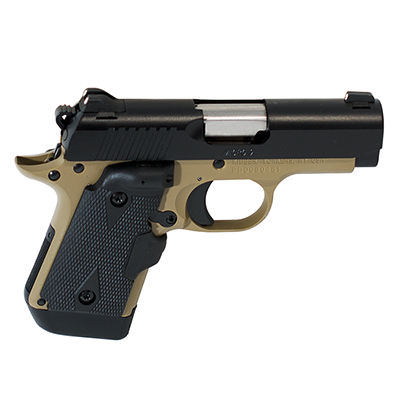 For those with small hands or desiring mild-recoil without lacking power, the Micro is the concealed carry for you.